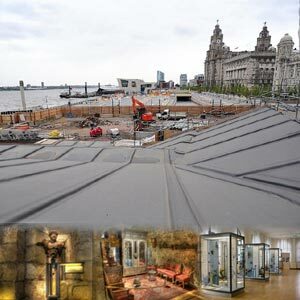 Liverpool is full of museums and heritage collections to enthuse the visitors. These museums are categorized under National museums and are home to fabulous collections ranging from social history to space travel, entomology to ethnology, dinosaurs to docks and arts to archeology. There has been a museum in Liverpool since 1853 with just two rooms on Duke Street in the city centre. However it was shared with a public library and was known as the Derby museum, named after the main donor, the 13th Earl of Derby whose bequeathed natural history collection decorated the museum. Liverpool museum was opened in 1860. Initially it featured displays from the Earl of Derby's bequest. However the curators soon began to add to the collection, with ships returning to port bringing a steady supply of new and fascinating objects. Later the private collectors also began to add their holdings. Joseph Mayer, in particular was generous in adding his collection. A local goldsmith and antiquarian, he had a large personal collection covering subjects as wide-ranging as Anglo-Saxon treasures, medieval ivories, Egyptian mummies and Wedgwood china. In 1867 he gave 15,000 items from his collection to the Liverpool Museum. Subsequently the centuries saw the growth of both the buildings and the collections, with botanical and zoological collections in particular expanding. However, the outbreak of the Second World War affected the museum, with many of the rare and most valuable objects being moved away from the city centre for safety. Luckily this proved a wise precaution as an incendiary firebomb hit the museum during the May Blitz of 1941. Fire raged through the building, leaving just a burnt out shell. It was 15 years before this part of the museum could be reopened. Since the war, the collections at the museum continued to grow. Unfortunately the museum building itself has not grown commensurately and most of the objects are still not on display. The museum is currently under refurbishment and is expected to reopen on 29th April 2005. The newly opened museum is expected to feature interactive and technological facilities to fascinate the visitors.